Barbara J. Heilmeyer, age 72 of Calumet Township, passed away on Wednesday, September 2, 2009 after a long courageous battle with cancer. Barb is survived by her husband, George; son, George (Helene) Heilmeyer, Jr. of Calumet Township; daughter, Beverly (Larry Ray) Moore of Churdan, Iowa; two grandchildren: Tonya Varnell and Glenda Rae Moore; four great-grandchildren: Larry Lee Varnell, Katherine Burbank, Tiffany Burbank and Stephen Burbank; brother, Harold (Norma) Hinshaw of Griffith, and many nieces and nephews. Preceded in death by parents: Virgil and Florence Hinshaw and brother, Raymond Hutchins. Funeral services will be held Tuesday, September 8, 2009 at 11:00 AM at Geisen Funeral Home, 7905 Broadway, Merrillville, Rev. Darrell Crots officiating. Interment to follow at Calumet Park Cemetery, Merrillville. Friends may visit with the family Monday, September 7, 2009 from 2:00 PM to 8:00 PM at the funeral home. Barb and George were the former owners of Quality Coffee, servicing local businesses in the community for many years. 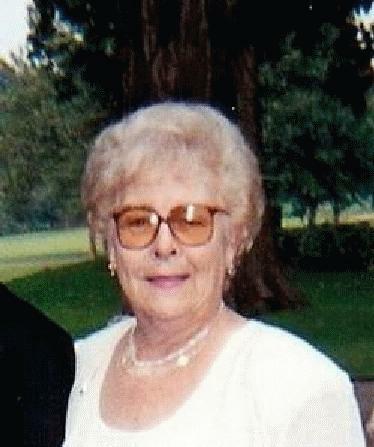 She was an avid bingo player and enjoyed the time it gave her with family and friends. Barb's love and kindness reached out to all who knew her, and for that she will be greatly missed. Barb said, "I've outlived my life, but not my love". To share a memory or send a condolence to the family, please visit the guestbook section at www.geisenfuneralhome.com. For more information call 219-769-3322. Contribution from Tonya Varnell (). 1940 census, Calumet Township, Lake County, Indiana; roll T627-1064, ED 45-3, page 66A, line #5, household #1255.